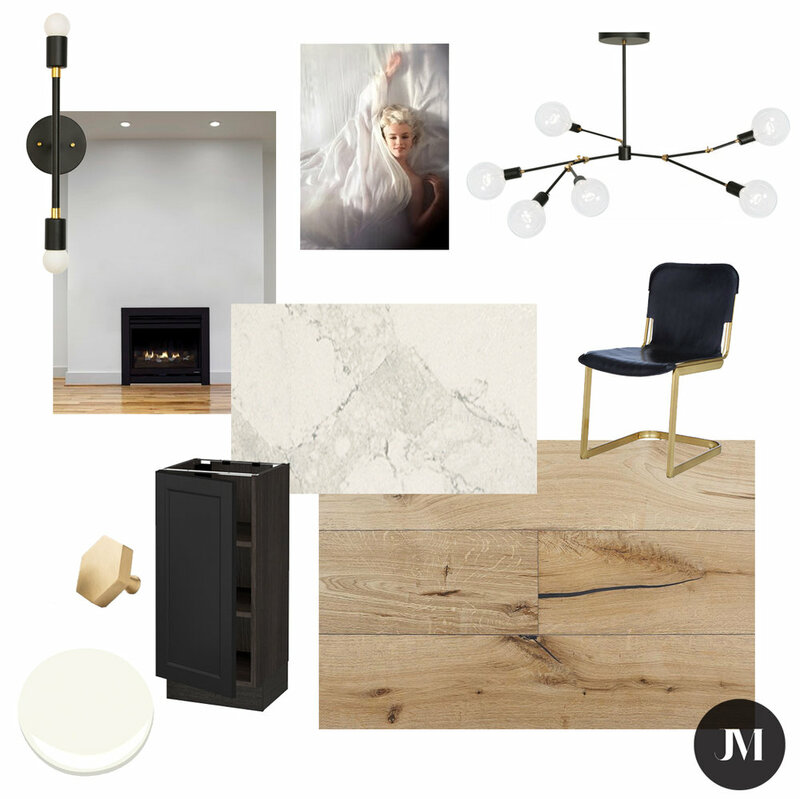 Today I'm sharing a final design plan mood board for #jmablackswan. While every room is getting a full overhaul, the bedrooms are more about the furniture and less about the finishes. In general it's more of the same; white paint, wood walls, etc... 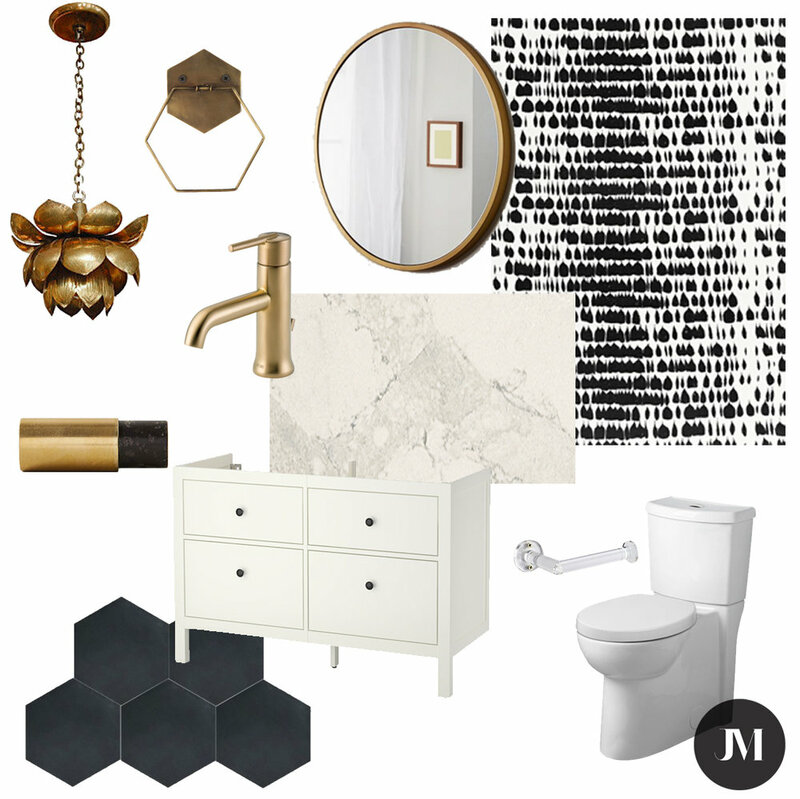 So without further ado, we're talking about the master bathroom today. As you can see it's going to be GLORIOUS!!! This room might be my favorite so far, it's a little boho a little luxe and so perfectly me. The before was something else, textured walls, more bad wallpaper, carpeted floors and worst of all no door into the bathroom. Yes, that's right, I said no door. WTF?! Who wants to have their master bedroom open right on up to the bathroom? So gross right? Although as I'm typing this I'm thinking it might be nice to stare into this little jewel box every morning. Ha! Anyway, let's move on to the before photo. This week we're talking about the powder room. It may be small but I have big plans for this tiny space. 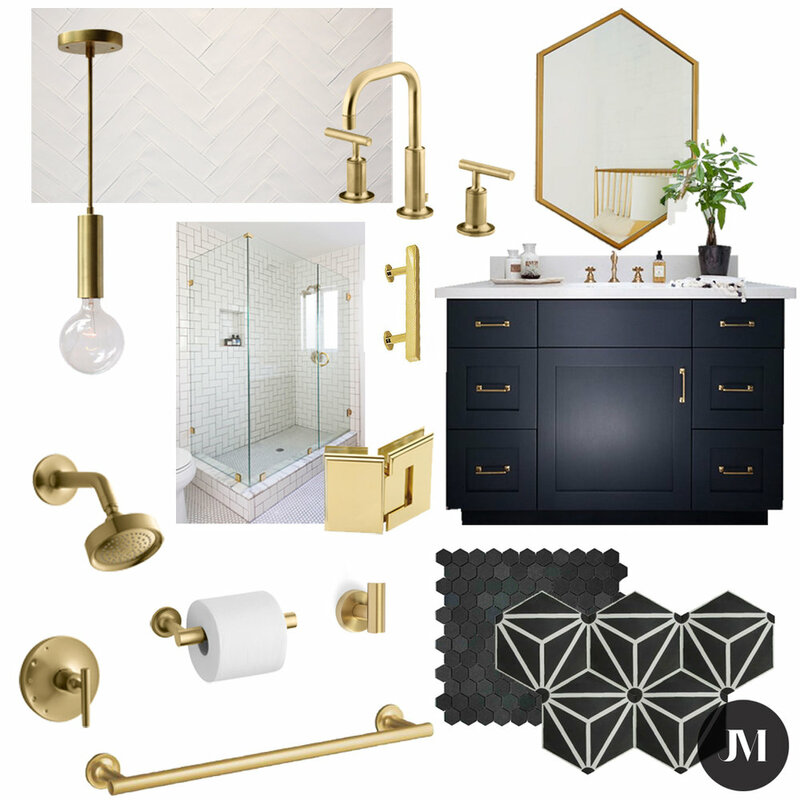 Keeping with the same vibe as the rest of the house this bathroom will be, as expected, black white and gold... obviously! 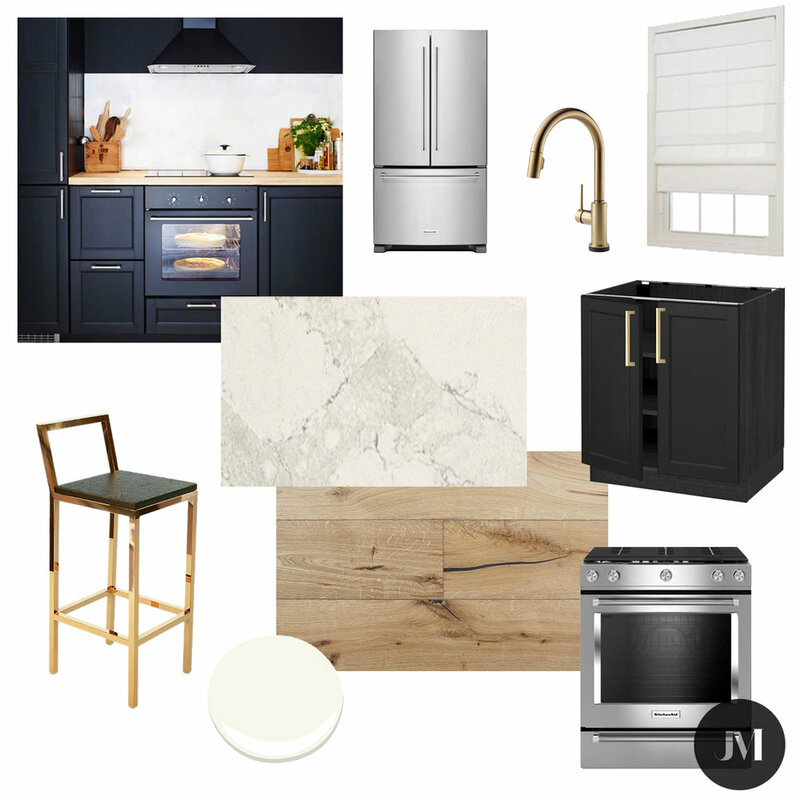 Continue on to see "before" photos and more info on now to create this look. Continue on to find out the glourious plans for my future kitchen as well as some photos of what's there now! Hey Guys! I'm back again with a little Black Swan Update. Every week I'm going to break down the design room by room starting with the living/dining area. Currently this space is a whole lot of ugly... mirrored walls, bad carpet and funky textured walls and ceilings, Yuk! But I have big dreams for this entertaining space.